Frank Lin is a young fashion designer based in southern Germany. 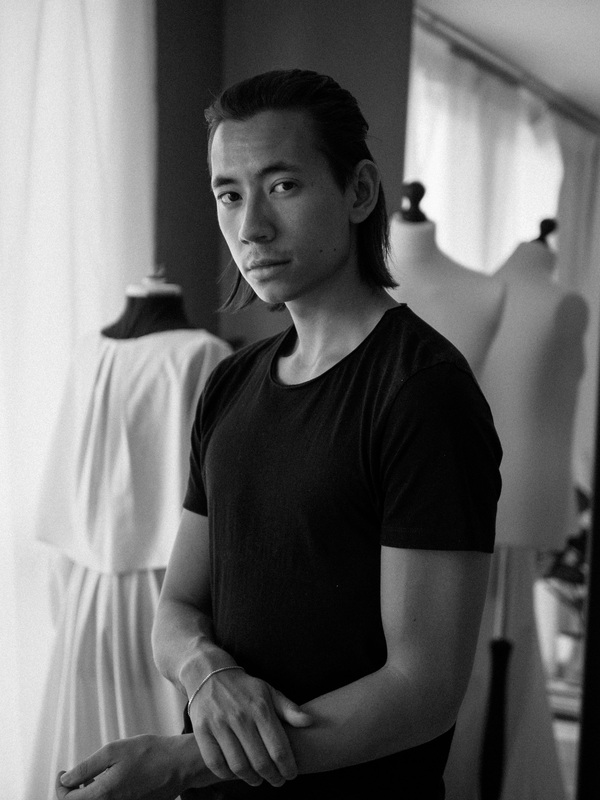 Born and raised in Stuttgart and Hamburg as a son of a German mother and a Taiwanese father, he graduated in fashion design in Munich. With his bachelor collection #muse he won the „Best Graduate Award 2018“ selected by an independent international jury. Frank Lin’s aesthetics is best described as „minimalistic menswear with a sensual twist“. His fashion combines elements of classic and traditional menswear with soft feminine silhouettes. Although he plays with the element of constriction to emphasize body parts, one should never feel constrained in his designs. Right after his graduation he already had several online and print features published in Vogue Germany and Süddeutsche Zeitung. Being obsessed with fashion since he was a child, he started working in fashion industry when he was 16 and has experienced it from different point of views. He worked as a photographer, fashion sales assistant, freelance creative director and journalist and did an internship in one of the biggest model agencies in Germany. As a menswear blogger and co-founder of his online magazine the lins he convinces with his aesthetics and hasworked with international premium brands such as Cartier, Burberry and Montblanc. All these experiences gave him a great insight into fashion industry, sharpened his eye and perfectly prepared and supported him during his fashion design studies.